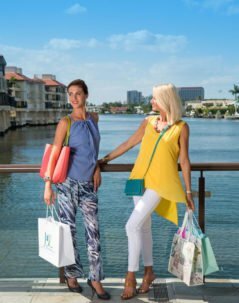 The Village Shops on Venetian Bay is a site to see with more waterfront shopping and dining than any other destination in Naples. 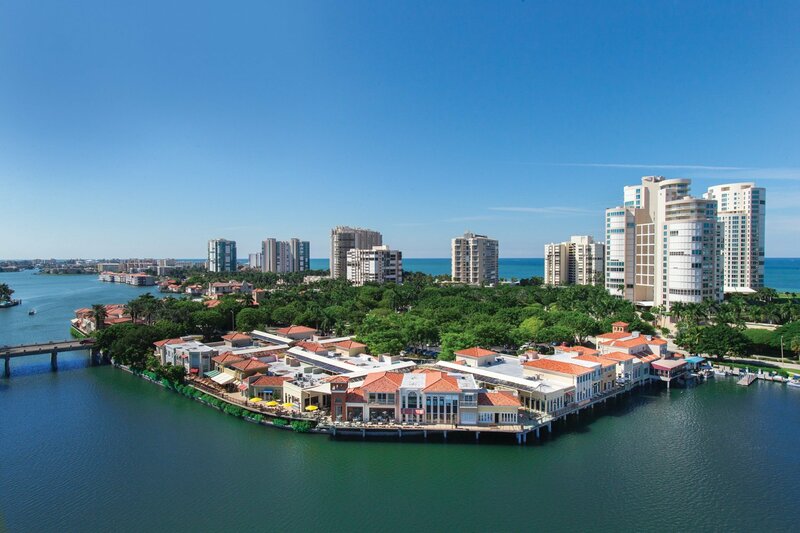 Whether you’re a local dining at your favorite waterfront hot spot or a tourist looking for ambiance, entertainment, and one-of-a-kind shopping, there is something for everyone. 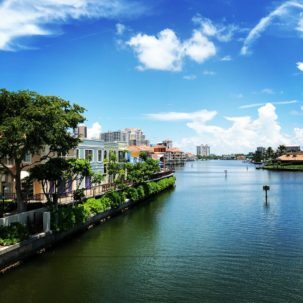 Immediately upon arrival, it is clear why The Village Shops has been acclaimed the “Jewel of Naples” with its breathtaking views of the Venetian Bay. No matter the time of day, the views are always extraordinary and unforgettable. 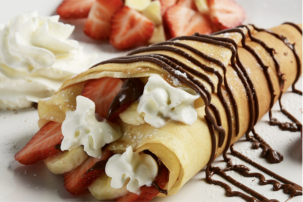 Enjoy the morning sunrise while sipping your coffee and eating Naples’ best crepes from Rendez-Vous French Café or bask in the afternoon sunshine and nightly sunsets from anywhere in The Village Shops. 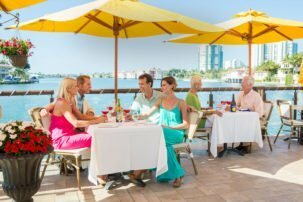 When dining at all of the six sparkling waterfront restaurants, expect nothing but plated perfection and panoramic views with ample patio seating options. The same goes for shopping. Enjoy exceptional views while strolling from shop to shop and even while browsing the racks of designer products inside the boutiques. 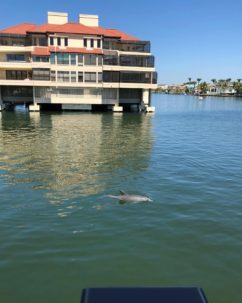 At any moment, snap a picture of the frequently visiting dolphins and jumping fish or wave to the boaters and paddle boarders admiring the beautiful Venetian inspired architecture. 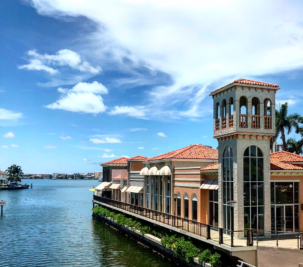 Visit The Village Shops to experience 5-star shopping and dining with the best waterfront views in Southwest Florida and share your photos with us on Facebook!